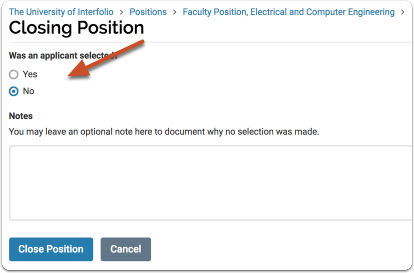 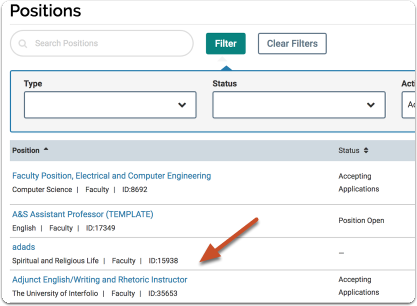 An Interfolio Faculty Search position is either "Open," meaning the positon is accepting new applications, or "Closed," meaning no new applications are being accepted. 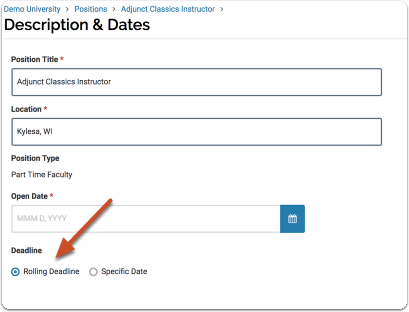 Open and close dates are set up when creating or editing the position. 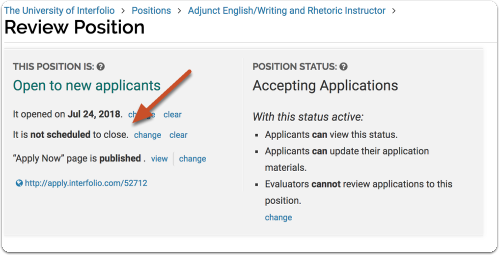 It is possible to set up a rolling deadline, when the position is open and accepting applications but no close date has been set for the position. 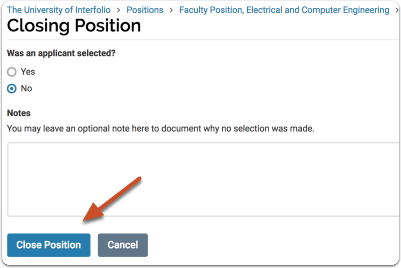 Committee Managers and Administrators can manually close a position with a rolling deadline when applications are no longer being considered, either because a hire has been made or for some other reason. 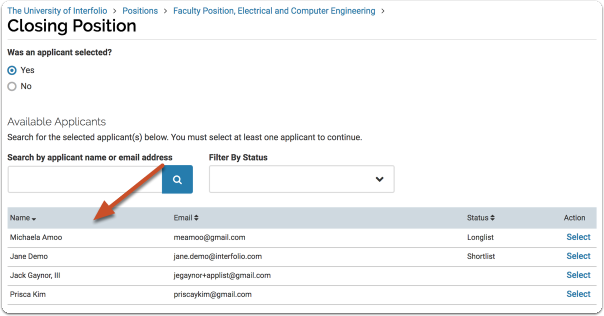 The option appears on the "Description & Dates" screen. 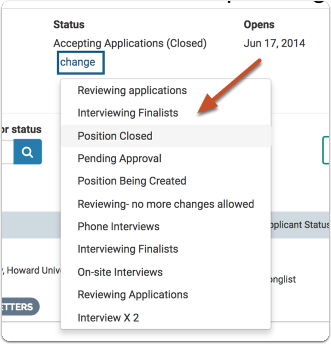 When setting up your position, simply choose "Rolling Deadline"
If one or more applicants was selected, select "Yes"
Chosen applicants will be removed from the list of "Available Applicants," and added to a list of "Selected Applicants"
Once you close a position, you should select an appropriate position status to indicate the position's closed state. 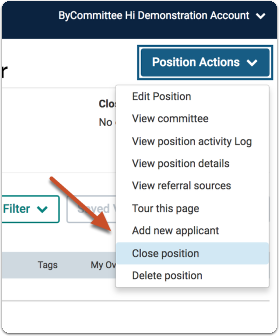 The position status is a label that indicates where a search is in the process and allows you to set rules for what Evaluators and applicants can do when that particular status is active. 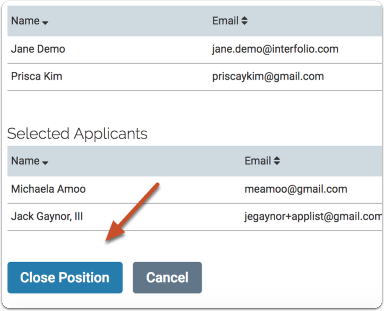 See here for more information on Position Statuses.